Last week we had a fantastic Pro-D Rep Training session at the Van Bien T&D centre with BCTF facilitator Donna Bulmer. We had our best turnout in a decade -- 22 teachers school PD Reps and PD Committee members. Our agenda: explore the nature/purpose/possibility of PD models, growth plans, teacher inquiry, professional learning communities, and issues in professional development. The feedback indicated that the PD reps each had a few new perspectives on how professional learning could be supported in their schools, and some fresh ideas on how to individual and group inquiry. Attend a workshop/conference or summer institute/course. Be a sponsor teacher for a student teacher. 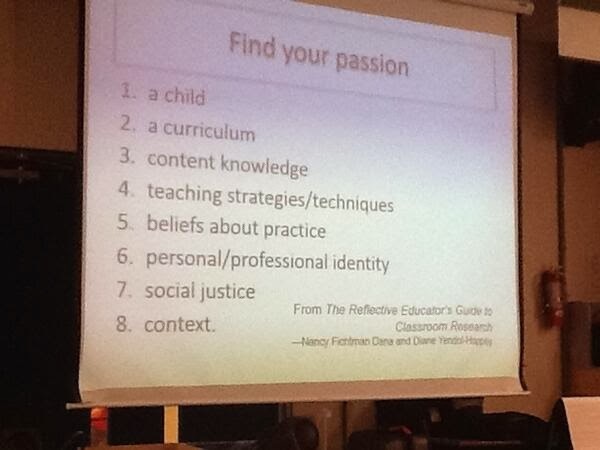 Become a BCTF PD associate, and carry on the Teachers Teaching Teachers Tradition. Become a BCTF Program Against Racism or Status of Women Program associate, and carry on the Teachers Teaching Teachers Tradition. Become active in your local association. Becoming a facilitator, and give a workshop locally, regionally, or provincially. Develop innovative programs for use in your classroom. Develop an annual personal PD plan, and maintain a PD portfolio. Explore the possibilities of bringing the BCTF’s Program for Quality Teaching to your local. Form/join a teacher research group. Hop on the Internet through BCTF Online or another PD site. Job-shadow in a related work situation. Observe another teacher, and talk together about the lesson/program. Reflect, discuss, and research for the purpose of planning individual or group ongoing professional development. Develop the discipline of reflective journal keeping. Serve as your school’s PD representative. Share with colleagues what you found at a conference/workshop. Work on a provincial committee (MoE or BCTF). Work on the Local Ed-Change Committee. Work on your local’s PD committee. Work with a colleague to discuss, observe, and critique a lesson/program (peer coaching). Write professional articles for your local’s newsletter, your PSA’s publications, or Teacher newsmagazine. Use a face-to-face get-together to "unpack, mull, and fuse" -- make sense of the professional learning and teaching stories that have occurred over the last month. Use Social Media (like Twitter) to engage with a personal learning network, scan educational links and articles, or join live chats with other educators. Map out an educational ecosystem -- lay out a big poster and make lists, webs, and sketches of what's happening in a teaching context (class, dep't, school): values, goals, evidence of progress, schemes, unifying projects, new roles for parents, observations on inclusion and differentiation, etc. Feel free to leave a comment and share unique things you do to support your professional learning.